Many of Cincinnati’s Mid Century Modern homes are typified by unique typography and locations throughout the city’s many rolling hills. Often on these sites developers did not have the vision to build tract houses, clients would seek architects to envision a unique design solution. One of the most stand out characteristics for a MCM home is a flat, low pitched, or multi-pitched roof often resulting a view of the roof or a portion of it. While these roofs may be giveaways for the MCM style, the long term maintenance and replacement for these types of roofs is not always a straight line, especially in our climate. Please join us for an evening chat and walking tour discussion led by local Architect and cf3 board president Chris Magee to discuss the topic ‘Roofs as 5th façade’. We will have our normal open house chat format and at 5:30pm we will begin a 30-40 minutes walking discussion. Members will explore the pros and cons of roofs through unique side by side MCM homes and examine solutions that best address how to deal with your MCM roof as a 5th facade. The tour will address questions such as: Should I use shingles or rubber membrane or just leave the gravel? Is it okay that water ponds on my roof? What’s the best way to have my roof replaced? 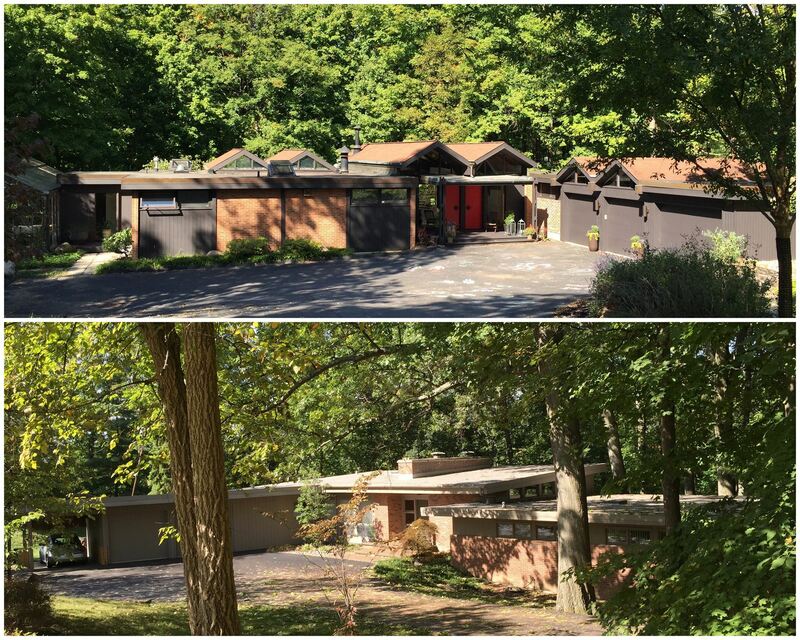 Case Study Side x Side moderns in Amberley Village: The Warm House Built in 1963 by Warm Construction and The Pressler House built in 1956 by Fred Pressler (PFB Architects). The Warm House’s current owners are Shelley and Eric Scheer. They have owned the house for about two years and have big plans to remove some of the black top in front and ‘naturalize’ the setting of this Asian inspired Modern. The Pressler house has been owned by Susan and Arlen Rissover for 18 years and had a new roof and carport addition about two years ago. The homes are very different, yet have similar lots that slope steeply down from the street. 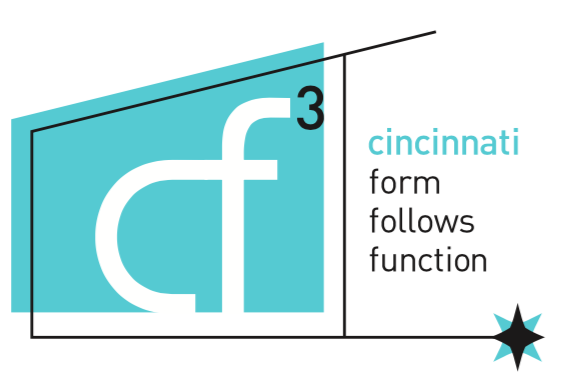 Whats next: cf3 is committed to Mid Century Modern preservation, maintenance, and historic relevance. We are pleased to announce in 2016, we will be introducing new tour series to explore ‘MCM in the Community’. Tours will be focused on exploring building types such as libraries, municipal structures, park buildings, and places of worship. Stay tuned for event announcements!